These wind chimes not only look beautiful but sound just as wonderful too. Large wind chime will have an effect on a amazing and relaxing sound when wind blows.When you go back home from work and hear this soft tones,which is a enjoyable thing to you,and it will make you feel more peaceful and relaxed.It's very pleasent to your ears and appealing to your eyes. 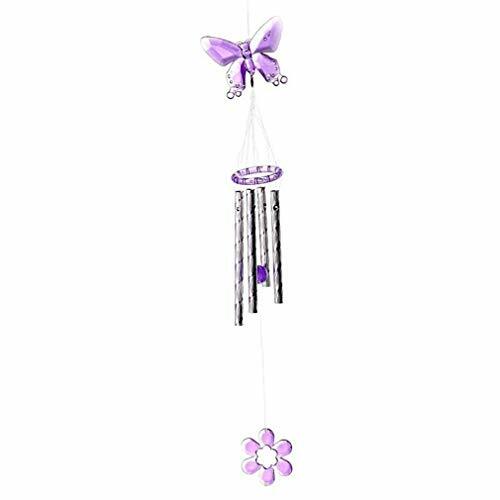 The amazing grace wind chimes produces a wonderful and deep sound that can make you more relaxed and comfortable. Enjoy the Pleasant Soothing Melody : Amazing Sound Effect When Wind Blows, deliver Rich, Full, Relaxing Tones pleasing to your ears , soothe your body and soul,You will definitely like it! Our sympathy beach wind chimes have a round ring that is definitely convenient for you to hang on anywhere. If you have any questions about this product by Xiwindar, contact us by completing and submitting the form below. If you are looking for a specif part number, please include it with your message.